Your client’s bathroom can transform from a dreaded room with bad lighting and old cabinets to an oasis that’ll truly help them freshen up. At ProSource® of Spokane, we can help meet your client’s bathroom design requests through our wide product selection, fair wholesale prices, and showroom specialists. Our unique color and style options at ProSource of Spokane will have your client enjoy handwashing more. 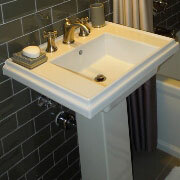 Whether it’s a vessel, wading pool, or pedestal bathroom sink, we can meet your client’s unique style. 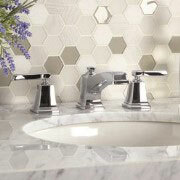 As great as your new client’s sink may be, it won’t be complete without a new sink faucet to match. We have modern or traditional, bronze or stainless steel, cross or lever, and more bathroom faucet options when you visit our showroom. When it comes to shower remodels, we have the accessories, products, and expertise you need. Every client deserves a beautiful shower — let us help you design it. 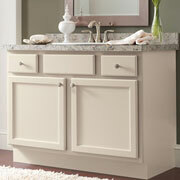 No matter how small or large your client’s bathroom is, we have a bathroom vanity that’ll fill the space perfectly. We’ll help you decide on a fixture that matches your client’s style and is neither over- nor underwhelming in the space. 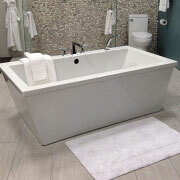 Bathtub remodels can transform a space when it’s a statement tub with claw feet. Or, they can maximize space when it’s a tub-shower combo. Meet with our designers to find the bathtub that works for your client. Nobody likes a leaky toilet or a loose handle. 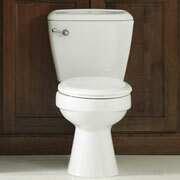 When your client is looking for a new toilet, we have the styles and experience needed to help. Whether it’s finding the perfect bowl size or flush rating, we can help. We are proud to serve Spokane and Spokane Valley, Washington, and Coeur d’Alene, Sandpoint, and Post Falls, Idaho. The ProSource of Spokane showroom is conveniently located in Spokane, Washington and serves all of the neighboring cities including Addy, Ahsahka, Airway Heights, Albion, Almira, Anatone, Asotin, Athol, Avery, Bayview, Belmont, Benge, Blanchard, Bonners Ferry, Bovill, Boyds, Burbank, Calder, Careywood, Cataldo, Chattaroy, Cheney, Chewelah, Clark Fork, Clarkia, Clarkston, Clayton, Cocolalla, Coeur d’Alene, Colbert, Colburn, Colfax, Colton, Colville, Connell, Coolin, Coulee City, Coulee Dam, Creston, Culdesac, Cusick, Davenport, Deary, Deer Park, Desmet, Dixie, Dover, Eastport, Edwall, Electric City, Elk, Elk River, Elmer City, Endicott, Evans, Fairchild Air Force Base, Fairfield, Farmington, Fernwood, Ford, Four Lakes, Fruitland, Garfield, Genesee, Gifford, Grand Coulee, Greenacres, Harrington, Harrison, Hartline, Harvard, Hay, Hayden, Heron, Hooper, Hope, Hunters, Inchelium, Ione, Juliaetta, Kahlotus, Keller, Kellogg, Kendrick, Kettle Falls, Kingston, Kootenai, Laclede, Lacrosse, Lamona, Lamont, Lapwai, Latah, Laurier, Lenore, Lewiston, Liberty Lake, Lincoln, Lind, Loon Lake, Malden, Marcus, Marlin, Marshall, Mead, Medical Lake, Medimont, Metaline, Metaline Falls, Mica, Mohler, Moscow, Moyie Springs, Mullan, Murray, Naples, Nespelem, Newman Lake, Newport, Nine Mile Falls, Nordman, Northport, Noxon, Oakesdale, Odessa, Oldtown, Orient, Orofino, Osburn, Othello, Otis Orchards, Palouse, Pasco, Peck, Pinehurst, Plummer, Pomeroy, Ponderay, Porthill, Post Falls, Potlatch, Prescott, Priest River, Princeton, Pullman, Rathdrum, Reardan, Reubens, Rice, Ritzville, Rockford, Rosalia, Sagle, Saint John, Saint Maries, Sandpoint, Santa, Silverton, Smelterville, Soap Lake, Spangle, Spirit Lake, Spokane, Sprague, Springdale, Starbuck, Steptoe, Stratford, Tekoa, Tensed, Thompson Falls, Thornton, Trout Creek, Troy, Tumtum, Uniontown, Usk, Valley, Valleyford, Veradale, Viola, Waitsburg, Wallace, Warden, Washtucna, Waverly, Wellpinit, Wilbur, Wilson Creek and Worley.